Are you looking for a reliable, creative and experience team of web designing, development and/ or Mobile Apps Development?? We can design and develop Mobile app & Website to help you deliver more value to customers in your specific industry. Our aim is to be the best in service and as such we offer a premium service at very low cost effective rates. Check www.ncrts.com for more details. 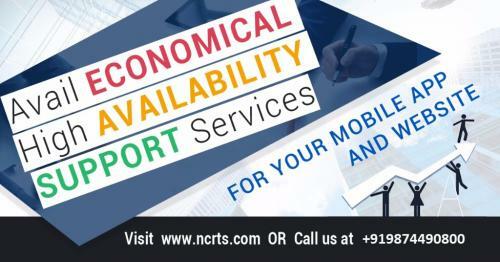 Call us at +919874490800 or email: sales.ncrts@gmail.com and we can develop the killer mobile app you need to grow your business.